I remember a tough conversation I needed to have with our third-grade son, Daniel. Way to win a kid’s heart, oh wise parenting sage. My son stopped and turned back. Sensing my sincerity, he said, “I suppose.” I worked hard in that moment to have a heart of understanding instead of a heart of judgment. Then I tried again. “I’ve noticed you’re hanging around with some new friends and I’m curious.” I paused. I wanted to pause long enough to let Daniel know I truly was curious. Now I had my choice. I could either return to my judging attitude, or stay truly curious. I asked a non-judging question. “What are some things you enjoy about being with your new friends?” He named a bunch of typical things – “They like the same things I do. They have cool video games” (I knew some of the games were not so wonderful). “They’re nice to me” (I’d seen them tease him). I resisted the inclination to lecture more about my observations and chose another non-judging question. I no longer needed to “proclaim my conclusion.” My son had already made the same one. The conversation then extended into ways Daniel thought he might stand up for himself and even work at finding other friends. What started (because of my anxiety and attacking tone) as a defiant response from Daniel, ended (because of my change of heart and curious tone) as a meaningful and productive conversation that didn’t even feel that tough. By staying on the attack you can make your point. But it may fall on defensive, defiant, and deaf ears. Here’s a couple of quick principles that might change the outcome of your next tough conversation. When you’re in “easy” conversations, pay attention to and practice the listening and question-asking skills you’ll need for tough conversations. Be truly curious and validating of your child’s thoughts and feelings. When it gets tough, stop, breathe, and choose a non-attacking posture. Check that your arms are uncrossed and you are on the same level as your child. 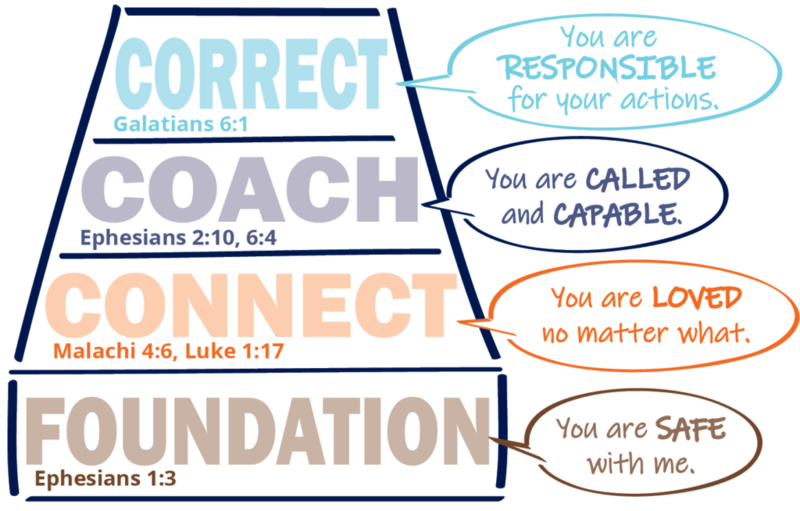 Create safety with grace-filled, non-judging questions. Remember what you learned when you practiced with normal, neutral issues. Instead of proclaiming your judgment, ask first about what’s good in a challenging situation. 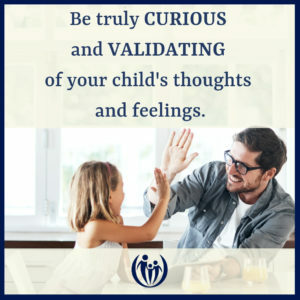 Your child will then be much more open to figuring out potential concerns. It’s amazing how those tough conversations we want to have can be eased by a non-judging, non-attacking approach. 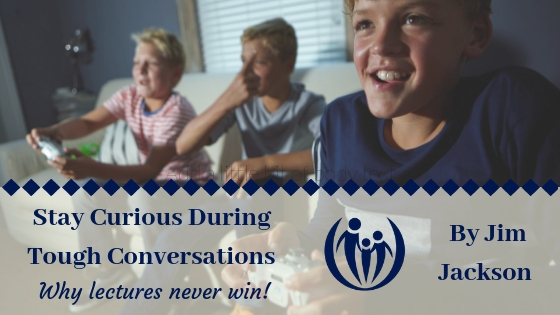 Our best hope to build wisdom in our kids is to connect with them in everyday conversations so when more difficult issues come up they are easier to address!